Rocket into the sky and beyond with this week’s stellar High Five, Zoom A Little Zoom! 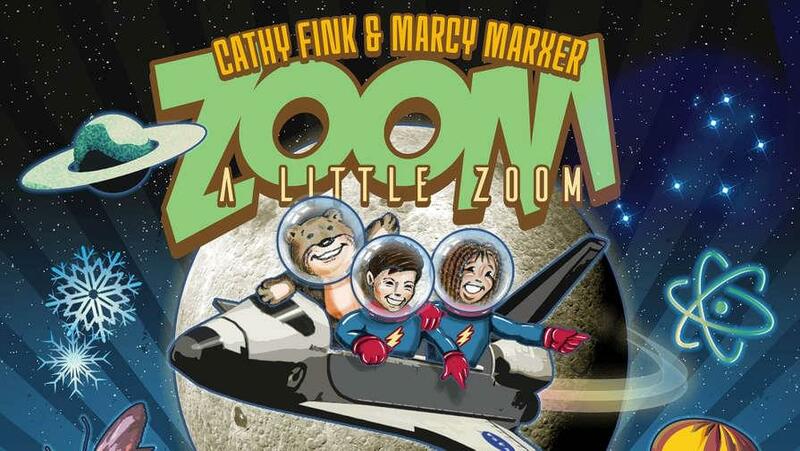 by Cathy Fink and Marcy Marxer – their 46th album collaboration. Exploring fun science and STEM facts through entertaining songs, this is the ultimate album to learn while having fun. Learn all about electricity, discover why the sun shines and get grounded with gravity. With twelve GRAMMY Award nominations under their belt, two-time GRAMMY Award winners Cathy Fink & Marcy Marxer are well-equipped to re-interpret the songs written by Hy Zaret and Lou Singer in 1961. These songs are earworms that infect listeners with scientific literacy, as stated by Zaret’s son Robert, who commissioned the pair to create these contemporary arrangements. This collection of songs is historical, educational and clever, a wonderful addition to the classroom and the home. Each song has a complementary Activity Guide for continued learning after the music stops. Grab the album at Cathy and Marcy's website.